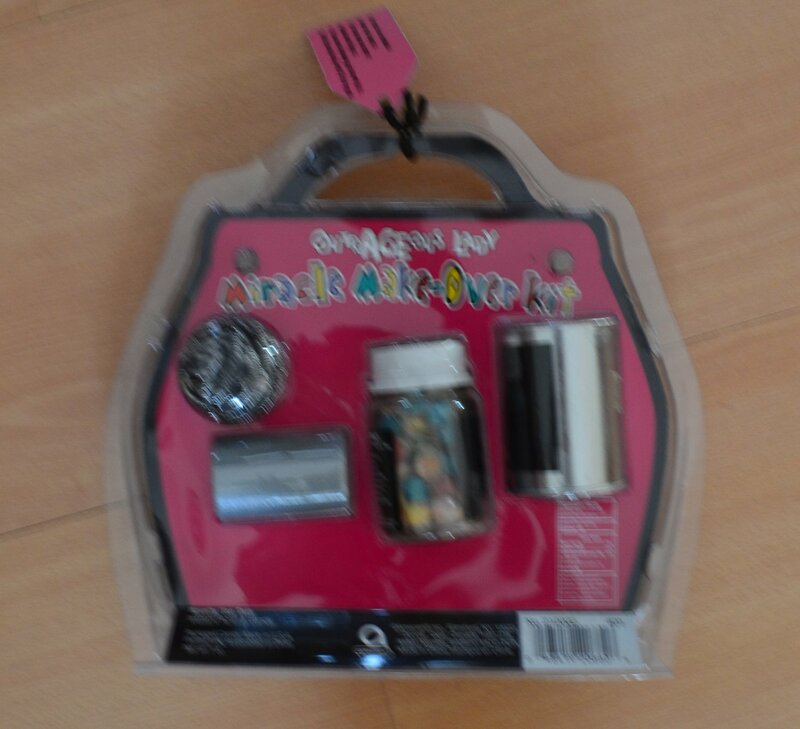 This listing is for a gag gift called OUTRAGEOUS LADY MIRACLE MAKE-OVER KIT. It includes a miracle skin exfoliant, a can-o-putty industrial strength makeup, a rapid wrinkle remover (steel wool), an instant face lift (duct tape) and a heavy duty makeup applicator (spatula). The kit was made by Amscan, is for NOVELTY USE ONLY, and is item 210002. New old stock in original packaging.